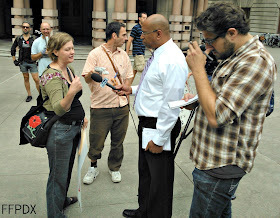 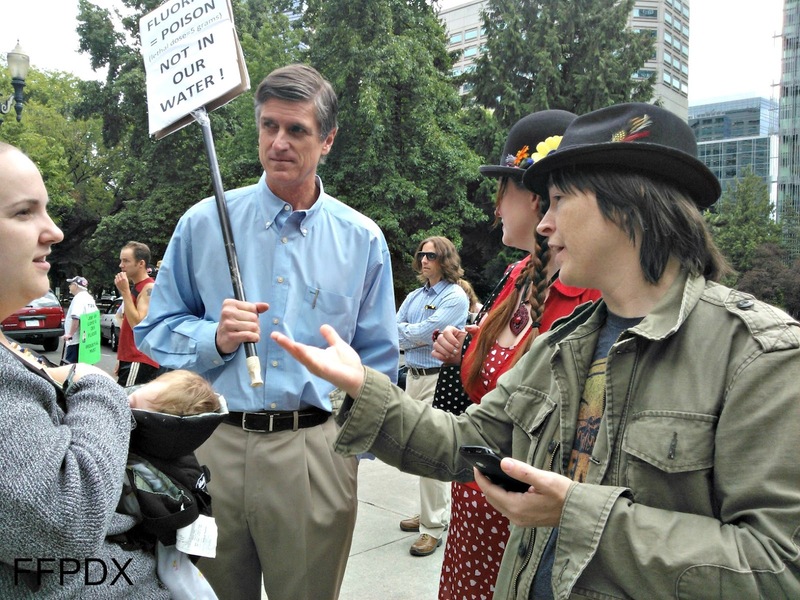 Rally organizer Angel Lambart is interviewed by KOIN channel 6 reporter Ken Bodie. 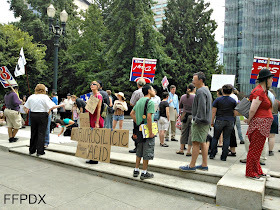 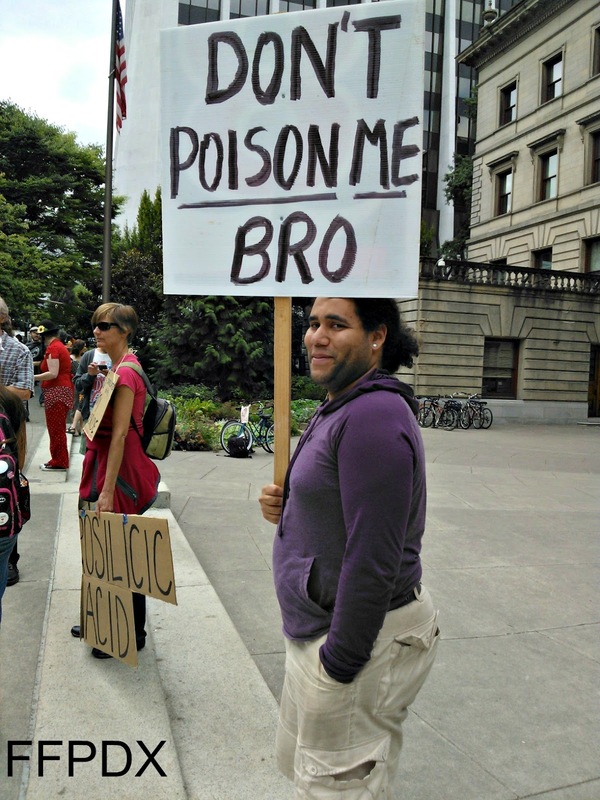 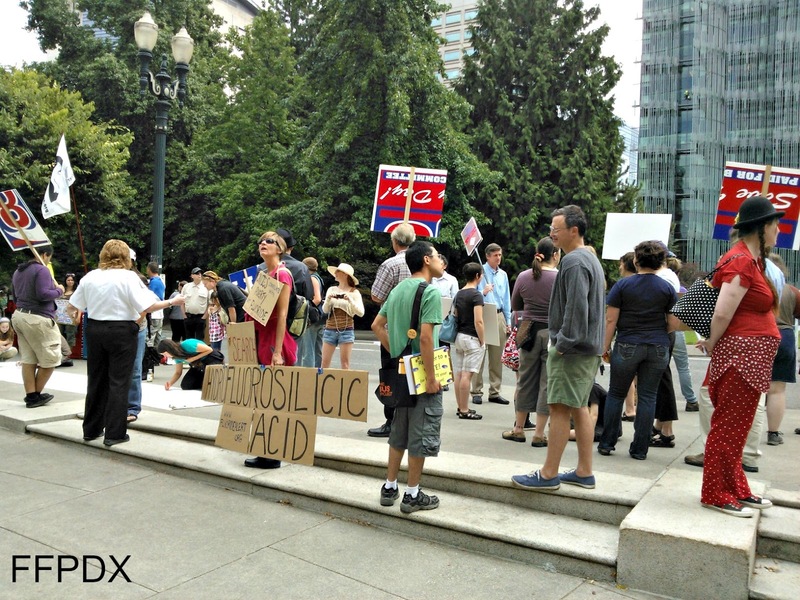 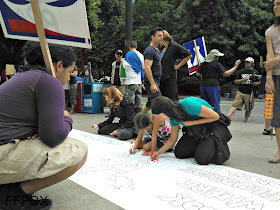 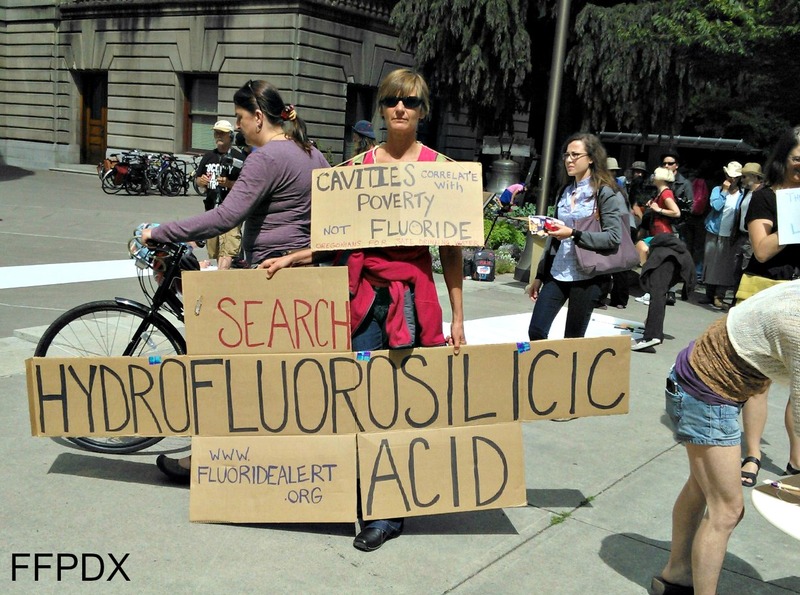 Several attendees of the rally discussed fluoride and its effects on children, especially babies. A giant poster was created to display to cars passing. 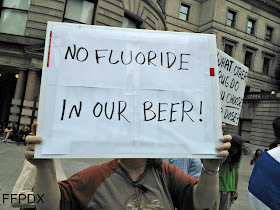 Fluorides effect on local brewers was a concern. 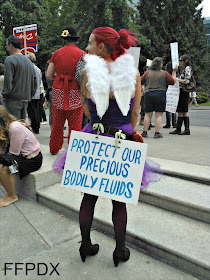 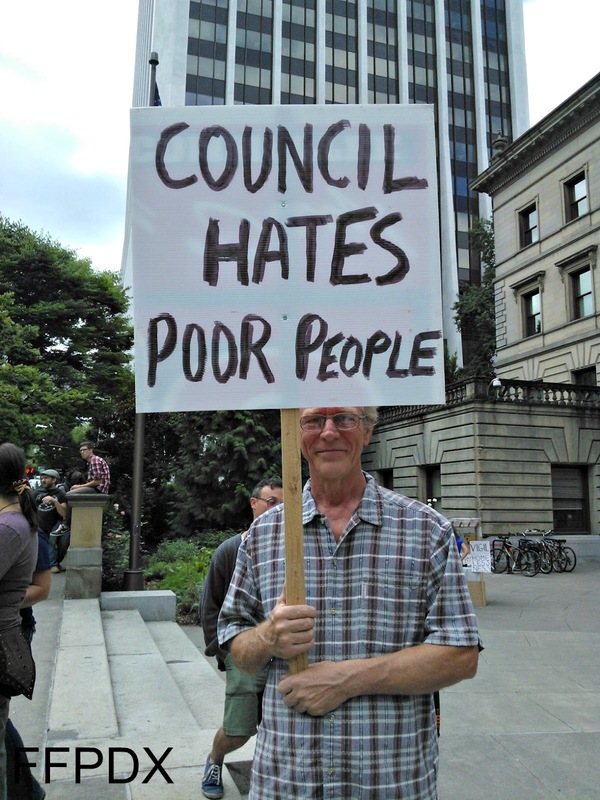 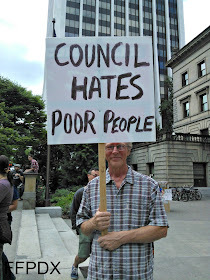 Protesters went to great lengths to share their message. 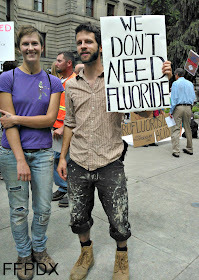 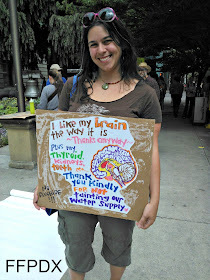 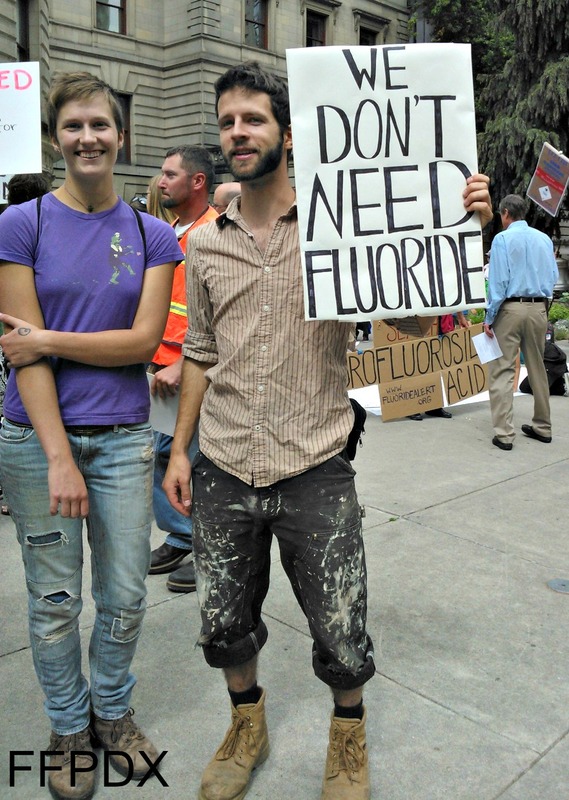 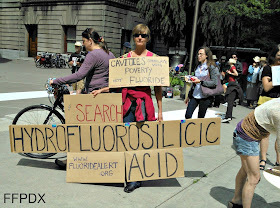 Some signs explained the medical impact of fluoride on the brain. A chemist explains to a reporter what fluoride is, from a scientific perspective. 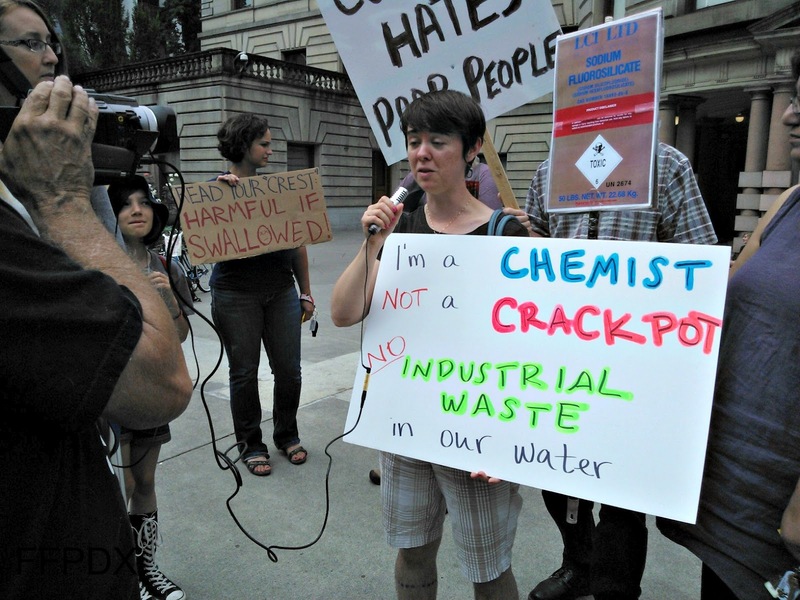 A crowd discusses the future of Portlands water. 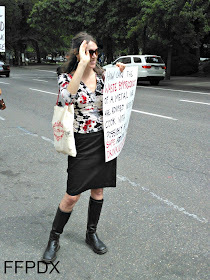 A woman waves to cars driving by, with some drivers honking in support of protesters.